ENFJs are people-focused individuals. 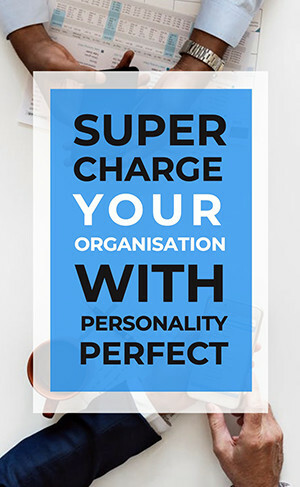 They are extroverted, idealistic, charismatic, outspoken, highly principled and ethical, and usually know how to connect with others no matter their background or personality. Mainly relying on intuition and feelings, they tend to live in their imagination rather than in the real world. Instead of focusing on living in the “now” and what is currently happening, the ENFJ personality type tends to concentrate on the abstract and what could possibly happen in the future. Are you an ENFJ? Take the free personality test! ENFJs tend to be influential without even trying. Their influence stems from their authenticity and altruism, and people around them don’t question their motivations. ENFJs are loyal, reliable, and genuinely kind for no other reason than wanting something better for themselves and for others. For the ENFJ, having an ideal to fight for is the true meaning of life. He believes that finding his purpose in the whole scheme of things is more important than material possessions. Due to their extroversion, idealism, and charisma, many ENFJs become politicians, social workers, humanitarians, artists, coaches, or teachers so that they may reach out to others and spread some goodness in the world. What is most interesting about the ENFJ personality is that he finds pleasure in the company of other people, but he also yearns for time alone. This is due to his extroverted personality and his intuitive character. An ENFJ should strive to find a balance between the two – to find enough time to reflect on things in his life, but also have time for other people. When the ENFJ spends too much time alone, he has a tendency to feel depressed. When he spends too much time with others, he tends to feel overwhelmed and unable to process everything that has been on his mind. He needs to be able to find time for himself and time for others. An ENFJ must be aware that he has a tendency to seek the approval of other people too much. He needs to feel that others think highly of him, and that they feel that he is as much of a good person as he is trying to be. Unfortunately, what others think of him takes precedence over what he feels and thinks about himself. If others seemingly don’t like him or approve of him, he has a tendency to put himself down, which can develop into low self-esteem and a lack of confidence. The ENFJ personality has to be aware of this – since no matter how good a person he is, it won’t matter in the end if he doesn’t believe it himself. The information you’ve just read is only a brief description of your ENFJ personality type. Find out everything about your personality in the 20+ page Premium Profile!